Bermuda Triangle társasjáték - Magyarország társasjáték keresője! A társasjáték érték! A Bermuda Triangle egy nagyszerű társasjáték, 2 - 4 játékos részére, az átlagos játékidő rövid, csak 30 perc. A társast, 8 éves kortól ajánljuk kipróbálni. A játékmenet erősen épít a fogd és vidd és a forgass és mozgass mechanizmusokra. 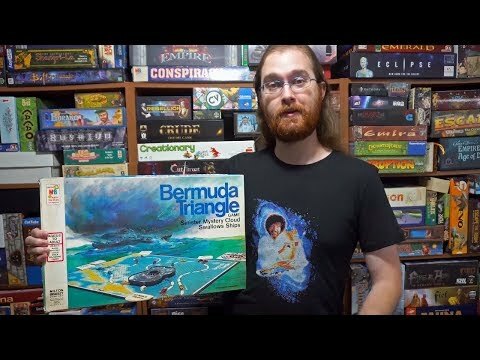 Bermuda Triangle, the legendary area in the Atlantic Ocean where dozens of ships and planes have disappeared without explanation, is the setting of this exciting game of suspense. The sinister mystery cloud hovers, weaves and sweeps, swallowing some ships as it passes. Can you make it 'home' with your cargo, or will your fleet become just one more victim in the Bermuda Triangle? 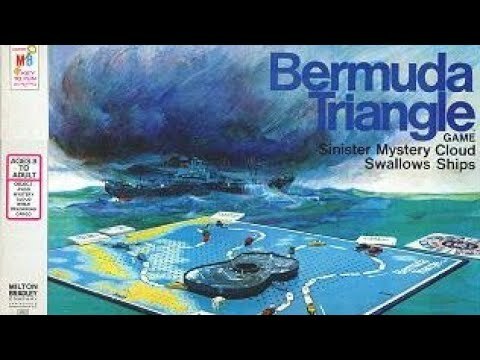 In this game, you try to run a successful ship-transport operation in the mysterious Bermuda Triangle. There is a track that runs round the board from port to port and you roll a die and move one of your your ships to reach a port to deliver the commodity required by that port. The prices offered by the ports change with each delivery, so you try to arrive when the price is high. There is a lot of scope for blocking other ships and for bumping them back to their last port. So where does the Bermuda Triangle bit come in? There is a ‘mysterious cloud’ - a plastic construction raised from the board on a central column - which moves about the board and twists around above the ships. There are magnets on the underside of the cloud and on top of the ships, so ships can be picked up and moved or destroyed when the cloud passes over. Each turn, a player moves a ship and the cloud - usually trying to protect their own ships and attack those of other players.